In the end, if we all did the things we knew how to do in the interest of “success”—whatever “success” is—we would be awful, manipulative people. Besides, bad ethics really is bad business practice. Most people can guess when they’re being swindled and, if anybody were to ever uncover that a post were sponsored or a system were being gamed, the backlash would be terrible. Meanwhile, “banner” advertising—a vestige of the print medium—simply doesn’t work, and running them makes your work seem less credible anyway. So even speaking theoretically, my real recommendation is always complete transparency. I told J.P. a secret, then, about Infinite Lives: it’s already paid for. For the next several years, I can leave it here, only updating it as I like—it’s already paid for. So if I have any debt, it’s a social one. It’s part of an understood contract. When I realized Infinite Lives was paid for, I stripped the ads, I explained. Then I asked J.P. if he’d ever noticed the donation link. He hadn’t. Have you? Because there’s a link here somewhere. But it isn’t panhandling, because I respect my readers—a great deal!—and readers don’t like being hit up for spare change. “I’ve thought a lot about that!” I replied. “This might be an unpopular stance, but I don’t have a problem with it. They are changing the product: a Penny Arcade without ads is a new Penny Arcade.” What I mean here is, according to Kickstarter’s strict rules, one can make the case that Penny Arcade is on the right side of the law. I think if you are going to discuss the ethics of monetization, in this era your conversation will always turn toward Kickstarter. It’s been a really organic evolution, this road to Kickstarter, and not an evolution I think I like. Maybe I should stop thinking of Kickstarter as a bizarre mutation of Save the Children, except that it kinda is. But Kickstarter is only natural, I guess. 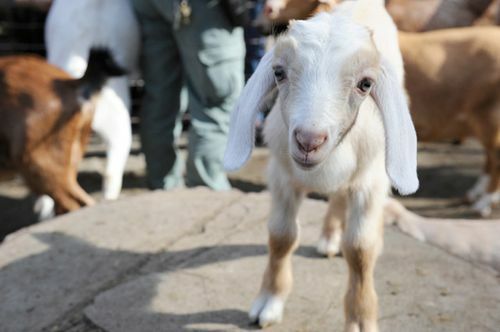 It’s the very next step from organizations like Heifer International and Farm Africa, especially since a lot of the time you aren’t really buying a goat. And because a goat is seldom a goat—sometimes a “goat” is money better spent on other things—we ended up with things like Kiva, all these charities that help jumpstart entrepreneurs with a loan, as opposed to a donation. And here we are now: instead of feeding the poor, we’re funding entire businesses. I went on to say that it ought to be a good model, and it is except, at its potential worst, Kickstarter has become a way of taking pre-orders, of measuring popular opinion. “And [in the case of games], circumventing a stagnant publisher model,” J.P. added. But maybe the moral question of Kickstarter—which really is what we were weighing here, even though we’d never outright agreed on those particular terms—was the “expectation of a reward,” J.P. suggested. I pointed out that a lot of pledge drives do the same thing, except they are very careful to never use the word “reward.” Instead they tell you that, for a donation of a certain size, you’ll receive a ‘gift,’ “as opposed to ‘I am buying an extremely expensive coffee mug,’” I typed. “As such,” I agreed, ”[my editor] was very surprised when I went off about Tim Schafer’s Kickstarter. About how there ought to be a cap, no one needs all that money, even I need money, how can this many starving people invest in an unannounced game. And then I went on and on about feeding the poor.” Of course I am not really annoyed with Tim Schafer; rather, I’m peeved that more people aren’t upset about starving. “Well, this is the thing, right,” J.P. replied. “We live in a society, and particularly in gaming culture, where there is this fetishization of owning stuff. J.P. tied this, then, to politics especially, and only now that I’m reviewing what he wrote, I’m seeing that I could have gone off in another direction. “Right, so the consumerism thing,” I typed instead. “Oh, boy, was I put off when I had to log into Kickstarter to shut off any social networking stuff—a change that I only knew about thanks to the unsolicited emails about who was now my friend on Kickstarter. “First of all, I do not care to broadcast the projects I have participated in funding. People can read that in one of two ways. ‘That’s all?’ OR ‘I thought you were unbelievably poor; what are you doing funding all these things?’ You can see what types of things I assist and with what frequency or infrequency. You could, if you were a psycho, attempt to measure my philanthropy in every way. “So I am agreeing with you, yes, with the idea of gamifying or trophyfying my philanthropy, where instead of being an action, it becomes yet another thing I have. J.P. agreed. “Yes, philanthropy is not a thing you have.” There was a long pause. “Unless you’re a douche,” he concluded. “Heh, I like that,” J.P. typed, but now there was no stopping me. “Sorry, I’ve been obsessed with types and levels of ‘wrong’ lately, and a few weeks ago I realized that one spot is ‘tacky’. “But a lot of us are taught right from wrong, but not types of right and wrong. So we have the same crippling guilt feeling from using the wrong fork as we might running over a dog. Or at least, I tend toward that, to review a gaffe long after it happened. Like mispronouncing paella in front of my boyfriend’s dad when I was 20. “And this I said to [my editor],” I continued. “Penny Arcade thing: morally wrong? Nope. Tacky to someone? Maybe. But there is the argument that it isn’t against the rules. “If the spectrum of wrongness goes God-wrong, law-wrong, socially wrong, tacky, this is pretty much the least offensive of the Wrongs. “Well, on that,” J.P. typed, “I think one of the issues particularly in this space is that many people do not have perspective on where a given incident or thing falls on the spectrum. The reactions are out of proportion with the severity or intensity of the event. “Right, exactly!” I said. “That’s exactly why I’ve been harping on the spectrum of wrong with myself: so I don’t have guilt or a sense of outrage with myself disproportionate with little daily errors I commit. But yes, exactly. Not that I didn’t love the Mass Effect outrage, where suddenly every gamer was very invested in narratology, in plot! I thought that was hilarious. “Although…! A lot of skirmishes in public places have to do, not with the offense itself, but with an ongoing argument about where the wrongness DOES fall on a moral spectrum. “Certainly some gamers feel there is a lack of proportion with the way other gamers respond to certain images or trailers in games. The onus is on other gamers, then, to prove the wherefores of the degree of offense,” I mused, “which is difficult to do, at least in that case. I don’t have enough thesaurus words in my head to label your post anything other than “interesting” or “fascinating”. But imagine I know another such word, let’s call it “intriguing” and I used it to describe the above. Intriguing. So, where you started from. I’ve been constantly thinking about how to get Electron Dance to “support itself” – hooking in ads seems only to devalue what you are while at the same time producing no return unless you have 2.74 gazillion readers – because it feels important to find some way for it to prove that these things are viable in what is supposed to be a capitalist culture. I’m not a hard-headed businessman, though, because I get distracted by the fact that I live a well-paid job during the day: still, if I ever had the chance to make the site my real job (enough to support a family) I would absolutely go for it. Still, that’s not where you end up. The ethics of the Kickstarter is a very weird grey area – we’re getting drunk around midnight where the right projects can command a lot of cash attention. It’ll take a big name failure or two before everyone sobers up. I’ve actually not given money to any Kickstarters save the Feminist Frequency one (as a moral act, a moral vote) because I’m traditionalist: I still believe in paying for what you consume. Funding is one thing, but donating to private enterprise that has no product… well, I’m saving this particular monologue for another day. These are complicated issues and we’re treading on land which is neither black nor white. But I imagine there are going to be some distinct changes in the attitude towards Kickstarter over next year or possibly two. It’s already become “modus operandi” with sites like RPS doing a weekly roundup of new projects. New projects every week! That is incredible. And now, like Steam sales or bundles, it’s becoming wearying and noisy. Just as bundles are now going unnoticed (e.g. Bundle in a Box), Kickstarter projects are too numerous to check out. All these systems tend to collapse into the same question once they get momentum and accrue noise: how do you capture enough attention? Videos of cats, obviously. If I could figure out a way to make money podcasting, I would, but since I can’t, I don’t worry so much about it. I assume that many people have similar feelings towards Kickstarter. I think you’re spot-on that we’re nearing a big blow-up, though. I also have only ever contributed to one Kickstarter, and that was for a friend. One reason the money aspect seems important is that personal sites like mine will continually surge into existence and then wither – look at something like Second Person Shooter. Although I’m sure Laura and Kent would’ve loved to continue, they have jobs in the industry now. I can imagine writing about video games in their spare time would appeal less now they work those words for a living. But Electron Dance, even with a lowly turnover of one article per week, is a shocking drain on time with all the social whatnot and conversation engagement that happens in addition to simply writing. Plus the more followers I acquire, the less I want to shoot from the hip and the more I want the words to have some factual weight, shying away from “I played game X and thought doors in all FPS games were interesting windows of the soul” flights of fancy. I can easily see a day where I have just had enough of all the fighting between the site and real life. My children want a father who works 12 hours a day and comes home to see them, not works 12 hours and comes home to work. I very nearly threw in the towel last summer. Plus, I have wanted to be a writer since I was born (well, that and a games developer) and shoehorning it into a lunch hour here, a bit on the train there and wedging it into the weary twilight between the awake and asleep is just not the dream, you know? Not sure why I’m having this conversation here but, hey, hi Jenn! I have other thoughts, both nuanced and ranty, about the Kickstarter concept and probably by the time I get around to formally writing them up, everything will have changed. Interesting post. Kickstarter for games ought to be viewed as preordering a game you think you would want to buy. It’s not remotely charity, even if the mechanics of the website allow it to exist along side charities. The number of charities getting less money because of a game kickstarter has to be pretty low. Offset that with charities being helped by game bundles, and it seems like it would be at least a wash.